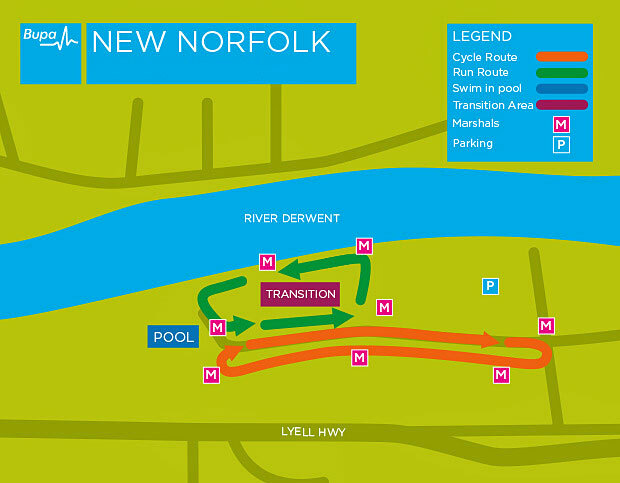 Map of the New Norfolk course. Click image to enlarge. FAMILIES are encouraged to register now for the annual KidFit Series, with spots said to be filling up quickly for Tasmania’s popular family-friendly, fitness event later this month. Fun family fitness activities will be held on the Derwent Esplanade in New Norfolk on Saturday, February 25, with registrations closing on February 22. The whole family can get involved on the day with a kids triathlon, a family fun run and a family zone of activities run by local sporting groups. Local AFL legend and Bupa Australia head of market development Peter Hudson was one of the event's founders 18 years ago and says it was established to support Tasmanian families’ health and wellbeing. The triathlon is open to children of all abilities aged 7-15 years and free training plans are available online to help all participants prepare for the event. The Team Family Fun Run is open for all ages and will take participants on a choice of either a 1km or 2km loop course. 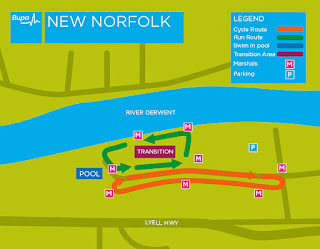 Triathlon entry for all Bupa members and their family is $5. All other triathlon entrants $15 per participant. The Team Family Fun Run is free though a gold coin donation will be appreciated. Stephen Dimsey from Life Be In It says the events are designed for all abilities so everyone can get involved. “Good health and wellbeing habits are shown to give kids the best start in life and ultimately reduce long-term chronic health risks,” Mr Dimsey said. Numbers are limited for the triathlon event and families are encouraged to register early to avoid disappointment. For more information or to secure your spot visit www.kidfitseries.com.au.